M2 high speed tool steel manufacturers and suppliers, supplied in round bar,square bar,flat bar,plate,sheet and wire. 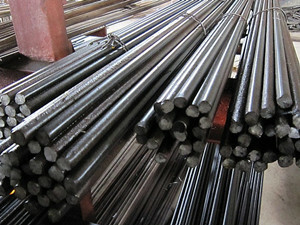 M2 is molybdenum based high-speed steel in tungsten–molybdenum series which has a well balanced composition.M2 is by far the most popular high speed steel replacing T1 in most applications because of its excellent properties and relative economy.Typical applications for M2 high speed steel are twist drills, reamers, broaching tools, taps, milling tools and metal saws. 1.M2 must be annealed after hot working and before re-hardening. 5.The resultant hardness achieved should be Max 248HBW or lower. 1.Preheat M2 to 450-500°C .then up to 850-900°C. 2.Heat to the final hardening temperature of 1200-1250°C and make sure the material must be heated through. 4.M2 high speed steel is suitable for vacuum hardening. 2.Heat thoroughly and uniformly to the tempering temperature. M2 high speed steel is supplied in accordance with our ISO 9001 : 2008 registration.